Sheila Canada Tilley, 54, of Karnak, died on Sunday, July 29, 2012, at her home in Karnak. Mrs. Tilley was a member of the Karnak United Methodist Church. She also worked at local restaurants in the area. She was a homemaker. She is survived by her husband, Timmy Tilley of Karnak; one daughter, Cecile Kinslow of Memphis, Tenn.; her mother, Jenny Wise and stepfather Joe Wise of Glendale; four adopted children: a son, Alex; daughters, Destini, Madison and Irland Tilley of Karnak; a grandson, Timothy Carnell, and several aunts and uncles. She was preceded in death by her father, Charles “Todd” Canada. Funeral services will be held Thursday, Aug. 2, at Karnak United Methodist Church at noon with the Rev. Alan Milligan officiating. Internment will be in the Masonic Cemetery in Cypress. Visitation will be from 10 a.m. Thursday, Aug. 2, until the hour of the funeral. 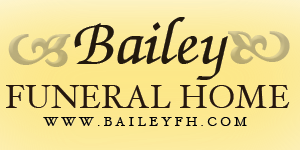 Wilson Funeral Home in Karnak is in charge of arrangements.